A long, narrow sliver of land clinging to the edge of the South American continent, Chile’s diversity of travel experiences matches its jaw-dropping geography and landscapes. Encompassing the world’s driest desert, fertile vineyards, cosmopolitan Santiago and eclectic Valparaíso, lush temperate rainforests of the Lakes Region, the peaks of Patagonia and even Easter Island, this country pinched between Pacific shores and Andean peaks unveils incredible natural beauty and cultural intrigue at every turn. Here we’ve compiled a list of essential information about Chile divided into 5 distinct regions. 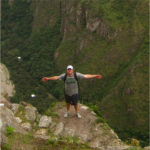 Read about Chile weather, points of interest, when to go, trip specialist tips and what to pack. With Incan influences in the north and native Mapuche culture to the south, Chile is a country immersed in family ties and local custom and tradition. The capital city of Santiago, founded by the Spanish in the 1540s, continues to be the heartbeat of this continually developing country. The combined influence of the Spanish and these local cultures have blended over the centuries to create a country filled with poetry, rich in museums of art and permeated with numerous colorful festivals. These festivals highlight the strength of Chilean cultural identity, with the largest festival being the Fiestas Patrias on September 18th, celebrating the date their independence process began. A tumultuous history of dictatorship and democracy has led to a current state of positive social activism, and one of the only twice-elected woman presidents. The gorgeous landscape of Chile has reminded people of its power with earthquakes and volcanic eruptions throughout the years, while also emphasizing the country’s resilience and strength. When you hear cheers for “La Roja” Chilean soccer team, enjoy eating sopapillas at the market and revel in the drama of the landscape, Chile is a country not soon forgotten. 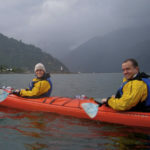 Knowmad is a Chile travel expert, and we love to talk travel. For specific itineraries visit our Chile + Patagonia trip ideas page or to jump start your planning call a Knowmad Trip Specialist at 612-315-2894, or send an email to travel@knowmadadventures.com. For a list of more specific questions frequently asked by travelers heading to Chile such as immunizations, tipping, cell phones, what to pack, etc., check out our FAQs Chile page. This remote region at the end of the Andes is worth every mile of travel. Including Torres del Paine National Park, Cape Horn and the Tierra del Fuego, it is as vast and sparsely populated as it is dramatic. Approximately 500 years ago the first Europeans along with Ferdinand Magellan sailed around the bottom of South America and Cape Horn, and to this day the remote lands of the region draw in and captivate explorers and travelers. The rugged natural beauty of the Patagonian landscape goes beyond words and expectations. Southern beech forests dot the land while enormous glaciers continue carving the landscape. We say that the gem of Torres del Paine National Park offers some of the best Patagonia adventure travel and trip opportunities possible. Torres del Paine National Park boasts endless trails that are set amongst a backdrop of jagged granite peaks, massive glaciers, cascading waterfalls and turquoise lakes and rivers. A mild microclimate and long days make for very pleasant conditions between November and early March in this park at the end of the world. In and around the park’s pristine beauty you can find some of the world’s best adventure lodges offering comfortable basecamps from which to explore, in addition to camping and expedition opportunities. The dry summer season in Southern Patagonia is November through March, but it can rain anytime of year and can also get windy. Daytime temperatures during this season are typically in the 50s and 60s °F (10-16 °C). During winter, Southern Patagonia is cold and often has snow, and during these times there are very few visitors so the shoulder season on either side of the summer months can be a great time to visit. It’s worth noting that some inclusive adventurer lodges such as Explora or Awasi Patagonia Lodge include transfers with your stay. The long journey can be very expensive if arranged privately, so keep this in mind when choosing your accommodations. Try to take the 6:30 a.m. flight from Santiago down to Southern Patagonia so you arrive to its beauty during daylight. Inspired to travel?For trip ideas in this region check out Knowmad’s sample itineraries in Southern Patagonia. What should I pack for A TRIP TO Southern Patagonia? Layerable, non-cotton clothing designed for hiking and athletics with a rain shell is the recommended outfit for a day in Patagonia. When hiking in the sunshine it can be warm enough for shorts and a T-shirt, and then hiking next to a glacier you will want several layering options with a wind shell. The variation in weather is part of what makes Southern Patagonia such a majestic place. When visiting Patagonia, a rain layer is an especially good idea. Volcanoes, fjords, temperate rainforests and lush valleys make this stunning natural paradise ideal for fishing, rafting and many other outdoor activities. The region also features colorful and varied cultures. Highlights include Puerto Varas and Lago Llanquihue, the Cochamo Valley and the Chiloé Archipelago. Puerto Varas + Lago Llanquihe boast views of the volcano-filled skyline in the towns along Lake Llanquihue, an area primarily characterized by a large 19th century German migration and the original Mapuche inhabitants. Cochamo Valley is nicknamed the ‘Yosemite of Chile,’ a little-known valley surrounded by granite peaks and azure rivers home to gauchos and homesteaders who continue to live as they have for centuries. Chiloé is a mystical group of Patagonian islands known for its folklore, craftsmen, seafood and colorful stilt houses. Northern Patagonia, Chile Weather + When to Go The dry summer season is November through March, but similar to further south it can rain anytime of year and also get windy. Daytime temperatures during the summer season are typically in the 60s °F (15-19°C), and during winter, Northern Patagonia is quite rainy. During the rainier months there are fewer visitors, so this can be a great time to enjoy the region’s beauty to yourself. s a five-hour overland transfer and a longer flight, yet still offers stunning beauty, and at a much lower cost of travel. Inspired to travel? For trip ideas in this region check out Knowmad’s sample itineraries in Northern Patagonia & the Lakes District. What should I pack for A TRIP TO Northern Patagonia + The lakes district? Similar to Southern Patagonia, layerable, non-cotton clothing designed for athletics and a wind shell is the recommended outfit for a day in Northern Patagonia. Note that the sun at this latitude can be intense, so a hat and sunblock is also key. Including a wind shell and a rain layer in your gear is a great way to be prepared for the weather in Patagonia that can change by the hour. 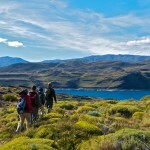 Visit our Chile FAQs page for more tips on packing for your trip to Northern Patagonia, Chile. Imagine a place where you can ski breathtaking mountain peaks in the morning, enjoy lunch in a vineyard, and then catch the sunset on a beautiful beach. This is Central Chile; where you find capital city Santiago, the Andes Mountains, Chilean wine country, and the coastal towns of Viña del Mar and Valparaiso. Santiago is the capital city which boasts architectural styles both old and new encompassing bustling street-side markets, countless museums and parks, and a lively international and regional culinary scene. The Andes Mountains lie just an hour outside of Santiago dotted with world-class ski resorts and an infinite amount of backcountry terrain. Wine Country embodies Chile’s over 400-year-old tradition of winemaking, which is winning praise across the globe today. Here is the only place to witness producers of the Carmenere varietal. Valparaíso was named a UNESCO World Heritage site in 2003, and ‘Valpo’ is undoubtedly one of South America’s most intriguing cities. Wander its labyrinth of cobblestone streets and ride the cable car elevators through eclectic hillside neighborhoods. Central CHile Weather + When to Go Central Chile has a Mediterranean climate similar to the middle parts of California, however the seasons are opposite those in North America and Europe. Expect daytime temperatures between 70-90 °F (21-32 °C) between November and March, and temperatures between 45-65 °F (7-18 °C) other times in the year. Do remember that coastal breezes are also a refreshing factor when in Valparaiso, Viña del Mar and the Cassablanca Valley. During the winter months (May-September) Central Chile is wonderful to visit, as it is climate is quite comfortable and mild. If you have only a couple days in Central Chile, consider that there are excellent wineries northwest of Santiago in the San Antonio and Casablanca Valleys that can be visited in a day while en route to coastal Valparaiso and Viña del Mar. This means you can have a taste of wine country and also visit the coast in one or two days, avoiding the driving time required to visit the wine region of Colchagua to the south. Inspired to travel? For trip ideas in this region check out Knowmad’s sample itineraries in Central Chile. What Should I Pack For A Trip To Central Chile? Many have compared pack for Central Chile to packing for a Mediterranean climate. If traveling there during the summer months (Dec-Mar) lightweight clothing and T-shirts will keep you comfortable during the day. Keep in mind that breezes at night can often be cool, especially on the central coast. During winter months you will want an insulated fleece or warm jacket to pair with a scarf and lightweight mittens. The well doesn’t run dry of things to do in the Atacama Desert, and the areas around San Pedro de Atacama blow visitors away with the diversity of landscapes and depth of beauty. Stroll the adobe streets of Atacameno villages, see petroglyphs and ruins, or visit bubbling geysers and salt flats. If you’re feeling more active, you can mountain bike through remote high-country villages and fly down sand dunes, horseback ride in the canyons or hike a volcano. Just be sure to stay awake for the out-of-this-world moonscape and stargazing. The hardest part of any Atacama trip is choosing which adventures you’ll do, as there are more options than one could ever have time to explore. Here are just a few. El Tatio Geyser shoots columns of water over 40 feet high and sits in a vast valley with volcanoes towering in the distance. The world’s second largest geyser is best viewed at sunrise, while enjoying a picnic breakfast before a soak in the Puritama Canyon hot springs. Keep watch for vicunas, foxes, Andean ostriches and other wildlife. Tara Salt Flat is a vast salt flat almost to the border with Argentina often filled with multiple species of flamingo and flanked by llamas. See the odd igneous rock formations, called the ‘nuns’ of Tara, that surreally shoot into the air out of this vast plateau. Death Valley + Valley of the Moon offer other-worldly landscapes for photography of the surreal valleys and incredible views of the Salt Mountain Range and the Andes Range. Atacama Desert, Chile Weather + When to Go Although the weather is hot throughout the north like most desert regions, San Pedro de Atacama and some other popular destinations are at extremely high elevations. Temperatures fluctuate greatly and mornings and evenings can be decidedly cold after sundown. You can visit this region at any time of the year, as it is one of the driest areas of the world and this makes the weather less temperamental. Keep in mind that summer heat (January-March) can be more intense, but evenings at high altitudes will always be cool. Both LAN and Sky airlines, which service Calama airport for Atacama, tend to publish additional flight times about three months in advance. If there aren’t flight times available convenient for your plans, know that more flights may be available at a later date. Inspired to travel? For trip ideas in this region check out Knowmad’s sample Atacama Desert Oasis itinerary. What Should I Pack For A Trip To The Atacama Desert? Because the Atacama Desert has many popular destinations at extremely high elevations, plenty of layers is once again a great rule of thumb. Cold mornings and evenings are matched with hot sunshine in the day that will warm your skin, so make sure that you bring plenty of sunscreen. 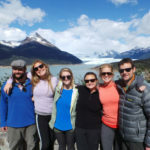 Visit our Chile Trips page and our Chile FAQs page for more Chile weather information, advice on what to pack for a trip to Chile and more. Some 2,000 miles off Chile’s coast lies Easter Island. Its gigantic Moai statues continue to mystify archeologists and anthropologists who know little about them or their Polynesian sculptors. Examine cave petroglyphs, discover deserted beaches and learn to dance Rapa Nui style while searching for answers in this tropical paradise. While Easter Island is small, interesting sites and landscapes abound making it worth circumnavigating the entire island on the one small principal road and spending at least a few days. Rano Raruku volcano is the quarry from which it is believed the moai statues dotting the island were cut. Known as ‘the nursery,’ wandering the side of the Rano Raruku volcano you can meander through moai in all stages of progress, some half buried face down, others mostly finished and standing tall. This remote site conjures up all sorts of images and a poignant feeling of mystery. Inside the volcano you find a small crater lake with many standing and fallen moai, about 80 in all, a true highlight of Easter Island. Anakena Beach is an ideal end to a great day of sightseeing with its white sands and swaying palm trees. Not to mention two major archeological sites are a stones throw away at several caves where it is rumored Easter Island’s first inhabitant dwelled. Ahu Vinapu is an archeological treasure that will spark your intellect of moai particular in shape and form suggesting a relation to the Incas of the mainland. Easter Island, Chile Weather + When to Go A marine subtropical climate, temps in winter (June-August) range between 60 and 75 °F (16-24 °C), and hover in the mid-80s (29 °C) the rest of the year. A persistent light breeze makes it very comfortable even during the warmer months. It can downpour quickly and briefly anytime of year, but rains are generally hard and fast and move on just as quickly as they arrive to Easter Island. Although never inexpensive, generally there is one daily flight to Easter Island (exclusively from Santiago, Chile) and prices go up as the plane fills up. To avoid big price jumps, book six months in advance or more. 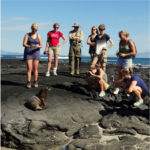 Inspired to travel?For trip ideas in this region check out Knowmad’s sample Easter Island itinerary. What should I pack for Easter Island? A swimsuit to enjoy the ocean surround you, a rain later for sporadic downpours and comfortable shoes for on-foot exploration are key items for any visit to Easter Island. Warmer temperatures mean that most clothing can be light, but layers are always a great plan in case the sea breezes are strong. 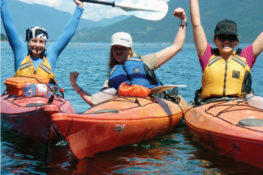 Our trip specialists have a wealth of knowledge about Chile, personal and extensive. 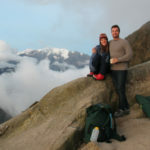 Founders Jordan and Tara Harvey began Knowmad Adventures in a cabin in the Lakes District of Chile and the country will always be close to their hearts. Planning a trip to Chile might seem a little overwhelming at first and sometimes the easiest way to get started is to simply give us a call at 612-315-2894, or send us a quick email at travel@knowmadadventures.com.